Become a master of efficiency and stand out to employers. Hoping to make more money in 2019? 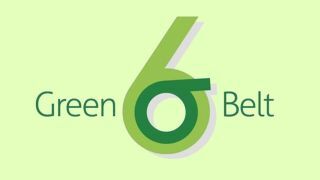 If you're ready to increase your earning potential in the business world you need The Complete Six Sigma Green & Black Belt Training Bundle. It's currently available for an astounding 98 per cent off at just $29.99. Employers know the importance of efficiency, so why not stand out in the applicant pool with your Six Sigma knowledge. This bundle includes two courses packed with over 180 hours of exam training, getting you prepped and ready to certify your skills. Start out with Sigma Green Belt Course, which gets you acquainted with the DMAIC methodology (define, measure, analyse, improve, control). This method helps you streamline company processes and turn your customer's needs into goals and deliverables. You'll also be taught how to identify stakeholder needs, analyse customer information and feedback and more. Once you've mastered the green belt course, it's time to become a black belt. In the Six Sigma Black Belt Course you'll learn how to help companies streamline their workflows via Six Sigma's essential and advanced concepts. This course will get you prepped and ready to take on the Six Sigma Black Belt exam, which will make you highly desirable with prospective employers. Take a step towards upping your income with The Complete Six Sigma Green & Black Belt Training Bundle. It's available for just $29.99 here.